Working for yourself can be surprisingly isolating. I spend far too much time at home on my own, so I love listening in to awesome conversations & hearing people’s real voice and real opinions. It feels like I’m really making friends with & getting to know these people (so that I don’t have to talk to my imaginary friends so much). On top of that, I get so many genius ideas from listening in to other people’s ideas & understanding other perspectives on business building. And I get them while plugging in my headphones & pulling weeds or doing the dishes or something equally mundane. Podcasts are magazine subscriptions for your ears. You can subscribe to podcasts on your iPhone, have it synced between all of your devices & listen to them while you do your boring household chores or driving in the car. These are my top picks to put in my earbuds. Enjoy! Ever wondered how other people make money in their businesses? Claire Pelletreau did too, so she started a podcast about it. The Get Paid Podcast asks the hard questions about what goes on behind closed doors in business and how people really make money (including exactly how much they make). Her podcast is super practical and I often listen with my pen poised. It’s so interesting to hear the behind the scenes of how people make a profit in their business. I take lots of notes! Tiffany Han’s podcast, Raise Your Hand, Say Yes, is so freaking spot on. Tiffany is a business coach for highly creative women (including me) & she invites amazing guest on the show to inspire you & I to realise that it’s ok to do things that are scary. You’ve got to raise your hand for the big, shiny opportunities you want, even if it’s scary. That’s why this is a podcast about the creative adventures of (extra)ordinary people. Full disclosure: I got sidetracked while writing this post because I went to listen to more Raise Your Hand, Say Yes episodes… You should do it too. Being Boss is a podcast for creative entrepreneurs with Emily Thompson & Kathleen Shannon. If you haven’t heard of Being Boss by now, you must be living under a rock. Kathleen and Emily have dominated the podcast world for the past year since they launched Being Boss. They even interviewed Brene Brown. This podcast is equally inspiring and practical. It’s full of ‘you got this’ confidence, and ‘let’s get real’ advice on how to help you be boss in your own life & business. 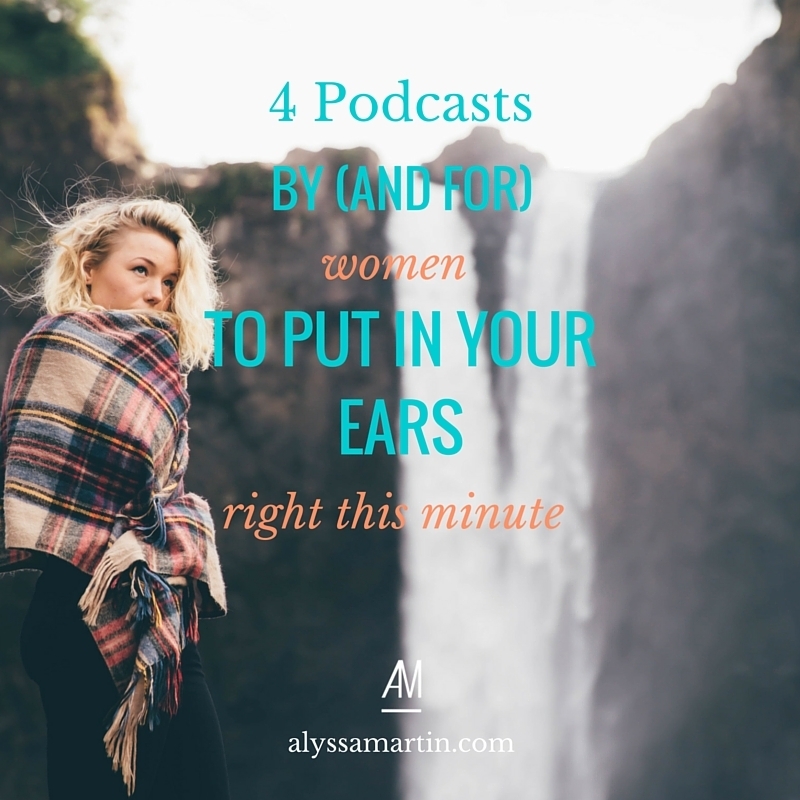 I couldn’t create a list of awesome podcasts without listing my own, Confessions of a Female Entrepreneur podcast – because I’m so proud of it and want to share it with you. Unscripted & uncensored, the podcast interviews successful female entrepreneurs who talk openly about all the scary moments that add up to “success” – however you define that word. The goal is for you to recognise your story in their words & realise that if they can do it, so can you, even if it means breaking the so-called “business rules” and making your own.